Item # 302383 Stash Points: 7,999 (?) This is the number of points you get in The Zumiez Stash for purchasing this item. Stash points are redeemable for exclusive rewards only available to Zumiez Stash members. To redeem your points check out the rewards catalog on thestash.zumiez.com. Get a beginner board that has the quality to last, with the Santa Cruz Throwdown Hand 7.75" Skateboard Complete. This setup features very mild concave and bullet brand trucks for stability, while the Santa Cruz brand bearings provide ample speed. 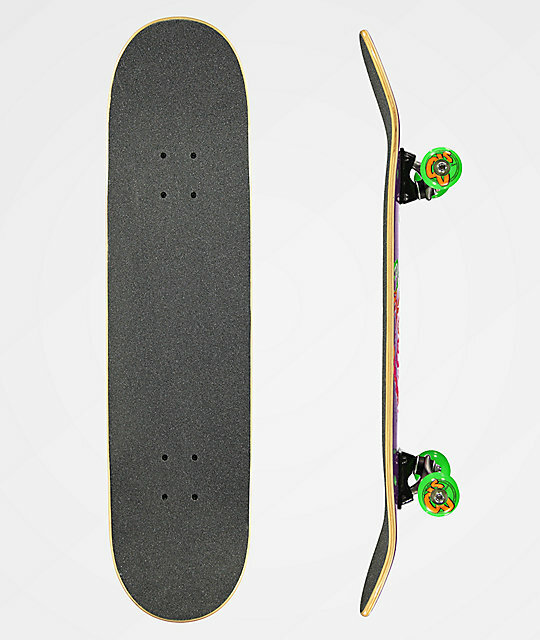 With 53mm OJ brand wheels for optimal grip and a smooth ride, this complete truly is excellent for beginners on all fronts. 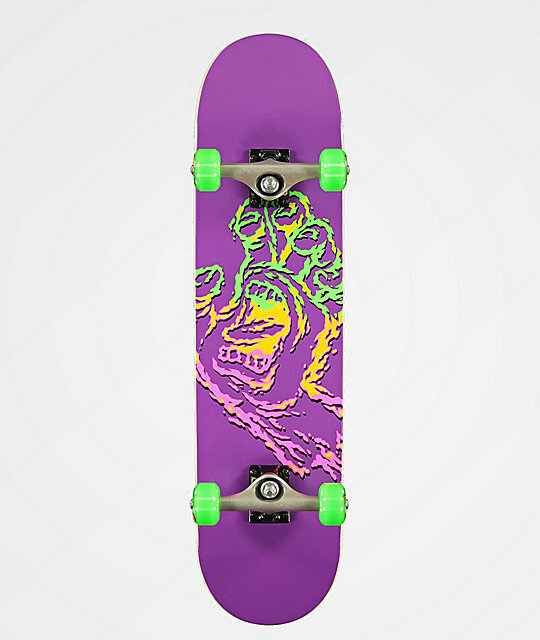 Throwdown Hand 7.75" Skateboard Complete from Santa Cruz.